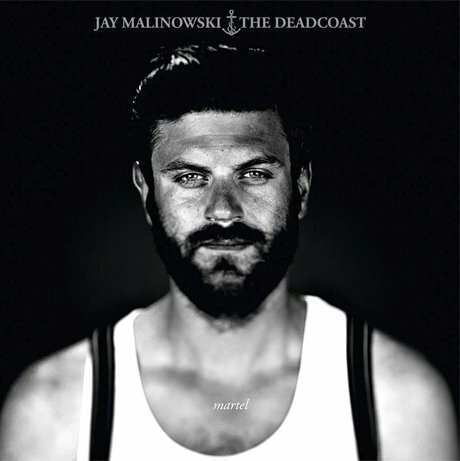 Jay Malinowski has announced his next release with the Deadcoast will be a family history-exploring concept album called Martel. The Bedouin Soundclash singer unfurled his plans via the launch of a new website that leads you through a series of videos and sound clips previewing the set, which is due February 11, while also charting the journeys undertaken by his sailor grandfather, whose travels influenced the LP. In a blog post, Malinowski explained that over the coming weeks he'll be delivering a series of letters written from the perspective of his grandfather, addressed to a granddaughter affectionately nicknamed "Kit." These letters will form the basis of the 18-song double LP Martel, but are also apparently due to be published in a book called Skulls & Bones: Letters from a Sailor to His Long-lost Granddaughter. "The premise of these letters, and the album Martel, have been based on my family history on my mother's side, specifically the maps and family records left behind by my Grandfather," Malinowski explained. "He was a man who truly loved Cape Breton and told us stories of his life there in Mira Gut whenever there was a chance. I believe growing up on an ocean has a deep affect on a person. I grew up on the Pacific, and so from there I started exploring my fascination with the ocean, and put my music, letters, and drawings into the perspective of our shared love for the Atlantic and Pacific." As such, the album is split up into two halves (Atlantic and Pacific), encompassing 18 songs altogether and with each relating to a point on the map found on the Martel website. Aside from Malinowski and the Deadcoast, the song cycle features performances from Hot Water Music vocalist Chuck Ragan, Jenn Tse and Zachary Richard. You'll find the tracklisting below and in the YouTube players below you can hear Malinowski explain a bit about the project, as well as watch the new video for the song "The Tall Shadow From Saint-Malo." A stream of the marine-minded chamber pop single "Patience Phipps (The Best to You)" is also available over on CBC Music. Martel follows the project's 2012 EP Indian Summer.